Jack Zuckerman is a Senior Partner in the accounting and litigation services firm White, Zuckerman,Warsavsky, Luna & Hunt LLP. 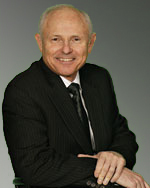 He has served as an expert witness since 1980 providing expert testimony in a variety of litigation matters. Mr. Zuckerman analyzes financial, accounting, valuation and tax issues relating to liability and damage aspects of business litigation. He also prepares appraisals of businesses and professional practices in connection with business litigation, marital dissolution matters, and estate planning. He has testified on numerous occasions in California Superior Court, United States District Court, arbitration proceedings, and depositions. Mr. Zuckerman received his Juris Doctor degree from Southwestern University School of Law in 1978. He graduated from the City College of the City University of New York (CCNY) in 1969. Prior to joining White, Zuckerman, Warsavsky, Luna & Hunt, LLP in August 1987, Mr. Zuckerman was a partner in the firm Stein, Cohen, Karp & Zuckerman for five years, specializing in litigation support services. Mr. Zuckerman began practicing public accounting in 1972. Mr. Zuckerman is a Certified Public Accountant, licensed since January 13, 1976. He is a member of the American Institute of Certified Public Accountants and the California Society of Certified Public Accountants. He is Accredited in Business Valuation by the American Institute of Public Accountants.